The Cavalier King Charles spaniel could be your idea of a perfect companion. With its sweet and loving disposition, combined with its silky fur and elegantly droopy ears, the cavalier is considered by many animal lovers to be the most adorable, gentlest dog in the world. Each year, families pay hundreds — sometimes thousands — of dollars for the assurance that their cavalier will act and look a certain way. Unfortunately, though, their pet will also come with a near certainty of disease. By the age of five, half of all cavaliers will develop mitral valve disease, a serious heart condition, and up to 70 percent will suffer from syringomyelia, a debilitating neurological disorder in which the brain is too large for the skull. And cavaliers aren’t alone. Most purebred dogs today are at a high risk for numerous inherited diseases. This major health concern is causing veterinarians, researchers and breeders to consider whether today’s breeding practices are doing more harm than good to our beloved best friend. Different dog types have been around for almost 4,000 years. But the vast number of modern breeds came about over the past two centuries as dog shows became popular and people began selectively breeding dogs with specific physical features. Over time, each breed has developed standards, set by the American Kennel Club (AKC) and other breed clubs, defining what each breed should look like. To foster the appearance of these desired looks, breeders often use line breeding or mating direct relatives, such as a grandmother with her grandson. When a male dog wins numerous championships, he is often bred widely — a practice known as popular sire syndrome — and his genes, healthy or not, spread like wildfire throughout the breed. As a result, purebred dogs not only have increased incidences of inherited diseases but also heightened health issues due to their body frame and shape. Back in the 1850s, for example, the bulldog looked more like today’s pit bull terrier — sturdy, energetic, and athletic with a more elongated muzzle. But by the early 20th century, when dog showing became very popular, the bulldog had acquired squat, bandy legs and a large head with a pushed-in face. This altered figure causes severe breathing problems in a third of all bulldogs and makes it nearly impossible for them to reproduce without help. Breeders frequently turn to artificial insemination because the female bulldog’s bone structure cannot support the male’s weight. Then, once pregnant, most females cannot give birth naturally because the puppies’ heads are too big. “By essentially requiring judges to select animals that are the written standard, the club, in a way, signed the bulldog’s death warrant,” Serpell says. Despite the negative effects controlled breeding has caused, animal science experts demand that it’s important to remember why the breed standards are important. “A breed standard is the template providing information about the appearance and temperament and reflects the original function and purpose of the breed,” says Milan Hess, a Colorado-based veterinarian who works with the AKC. When choosing a dog as a pet, consumers look to the breed standard for certainty. “The only information they have is the breed. They know what it will look like and how it will act. That’s the consistency,” says Thomas Famula, an animal-breeding specialist at the University of California, Davis. Who and what caused these diseases to be so prevalent, and where to place the blame if there is one, is a complex question. Although the AKC sets the breed standards, they are principally a registry organization and have little control over the actual breeding process. Famula believes dog breeders themselves hold the highest responsibility as they make the decisions as to which dogs to breed. “In the end, breeders are the ones creating the next generation of dogs. If a dog has a known inherited disease, they will likely pass it on to their puppies,” Famula explains. But researchers like Famula and Jerold Bell, a geneticist at the Cummings School of Veterinary Medicine at Tufts University, argue that breeding practices are greatly influenced by the puppy buyers, who Bell believes are largely ignorant of these issues. “The public is completely unaware. They see a cute dog and are sold,” Bell says. When purchasing a puppy, buyers can ask for medical tests and family history of diseases, which would give them an idea of both the condition of the puppy and the health consciousness of the breeder. But this rarely happens. “Although it’s ultimately the breeders responsibility, if there’s no pressure from the buyer, the system won’t change,” Bell says. When and if buyers do know to ask, health testing can be very useful. Many service dog organizations that breed dogs for police work or for the disabled routinely use data registries to maintain health information and make smart breeding decisions that reduce the prevalence of inherited genetic diseases. The Seeing Eye, a guide dog school for the blind in Morristown, N.J., uses genetic testing and keeps a database that tracks all their dogs’ potential health problems. “We have a geneticist on staff that evaluates each dog as a potential breeder and we occasionally bring in dogs from other guide schools to ensure our gene pool doesn’t get too restricted,” says Michelle Barlak, public relations associate at The Seeing Eye. However, commercial puppy breeders rarely use these practices, although researchers say it’s the only way to ensure a puppy’s health. “The key to making a healthy breeding decision is having information upon which to make that decision. Right now breeders are just rolling the dice,” Famula says. Many genetic diseases that plague dogs could be eliminated with proper testing, says Bell, which is usually done once in a dog’s life, normally before breeding. 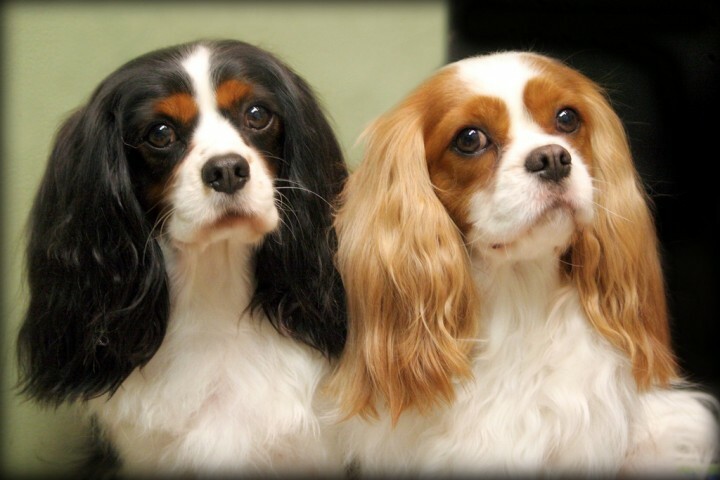 “Genetic testing can significantly decrease the incidence of syringomyelia in cavaliers. Breeders just aren’t doing it,” he says. Bell emphasizes that most of the top 10 diseases that plague all dogs are controlled by single genes which, when identified, are easy to eliminate in the next generation. In 2008, the BBC aired a documentary in the United Kingdom called “Pedigree Dogs Exposed,” highlighting the dismal reality of purebred dogs’ health. The segment aired during peak hours, reached many people and caused a pretty big stir. After 42 years of airing Crufts, the world’s largest dog show, the BBC announced it would no longer broadcast the show. “It became a water-cooler moment for the U.K., creating greater public awareness,” says the show’s producer Jemima Harrison. But Serpell says that in the United States, the issue is not getting the attention it deserves and all parties involved are having trouble finding a common ground. Dalmatians, though, are providing a small light at the end of the tunnel. The breed, commonly known for their distinctive black spots dotted across their white fur, also has high levels of uric acid in their urine, predisposing them to the formation of urate crystals that frequently cause urinary blockages. The problem is that the genes responsible for the spotting pattern and the increased formation of uric acid are on the same chromosome — selecting against uric acid will result in a spotless Dalmatian. As Famula explains, even for those who just want a Dalmatian as a pet, “What’s a Dalmatian without its spots?” In 1973, Robert Schaible, a geneticist at the University of Indiana, started the Dalmatian-Pointer Backcross Project. He bred an AKC champion Dalmatian with a pointer, a breed with normal uric acid levels and a disposition similar to that of the Dalmatian, and then bred a dog from that litter to another Dalmatian and so on. In 2011, after fifteen generations, the AKC allowed Dalmatians from this pedigree to register. Interesting information in the second paragraph, about cavalier King Charles spaniels. What were your sources for that? What are the sources of the information in the second paragraph of your article? Claire Maldarelli, in view of your silence since the February comments posted above, may I assume you have no sources?